Could You Be Deficient In Vitamin B12? Do you struggle with fatigue, frequent colds, flus, anxiety, depression, paranoia, insomnia, anemia, PMS, acne, allergies, swollen/inflamed tongue, hair loss, yellowed skin, herpes, psoriasis, nerve pain, shortness of breath, numbness/tingling in hands/legs/feet, balance problems while walking, incontinence, loss of taste and smell, brain fog or memory loss? Vitamin B12 deficiency can be a very sneaky condition that gets missed, but it can quickly become serious and harmful. Don’t forget to speak to your child’s pediatrician about B12 testing. I’ll never forget a parent contacting me at Hypothyroid Mom about their 10 year old son who had fatigue, poor growth, learning challenges, anxiety, depression, irritability, “flat” emotional tone, leg pains, loss of appetite, and trouble walking. Turned out this boy had severe vitamin B12 deficiency. Often times children fall through the cracks of mainstream medicine. 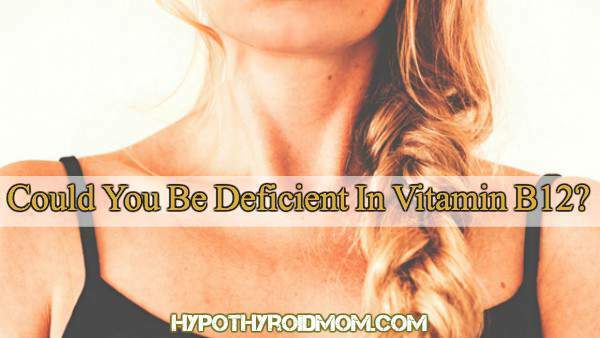 Vitamin deficiencies are thought to be only for “adults” but this is not the case. Vitamin B12 is a vital nutrient for energy, brain health, hormone function and pregnancy. Which is why a vitamin B12 deficiency impacts more than just energy. And deficiency is more common than you might think. Depending on which study you look at, anywhere from 20-40% of the U.S. population has suboptimal levels of this nutrient. And these numbers are based on traditional lab values, not optimal functional values! Twenty-40% may not sound so bad, but what if I told you that vitamin B12 can have profound effects on your energy and cognitive health? B12 is an essential nutrient for brain and heart function, both of which lend themselves to overall health and vitality. B12 works together with folate to aid in red blood cell formation and DNA synthesis. It also helps to lower levels of the amino acid homocysteine, which, at elevated levels, is linked to serious conditions such as heart disease, osteoporosis, depression, and dementia. This means that without B12, you can experience depression and other mood disorders, brain fog, fatigue, muscle weakness, lack of coordination, and hair loss. Worse – chronic depletion of B12 could mimic the signs and symptoms of brain diseases like dementia. For my prenatal ladies, lack of adequate B12 can also lead to neural tube defects, like spina bifida. While folate is most commonly taken to prevent this, in the absence of B12, the folate can not be effectively metabolised and utilized by the body. The neural tube defect is estimated to occur between the 3rd and 4th week after conception, which is too early for most women to notice they are pregnant. For this reason, I recommend both folate and B12 supplementation as part of a complete prenatal 3 months prior to conception. If you’re a woman and there is a chance you could become pregnant (even a slight one), I recommend at least having a complete B12 complex as part of your daily routine. I wrote the book Healing Your Body Naturally After Childbirth: The New Mom’s Guide to Navigating the Fourth Trimester . The most common reason for B12 deficiency is a vegan or vegetarian diet. B12 occurs naturally in animals and animal-derived products, so you may experience a deficiency if you avoid these foods. Approximately 50% of vegetarians and 80% of vegans are deficient in B12. [4,5] It is a common misconception that you can easily get B12 from non-animal sources. Plant based sources that claim to have adequate B12 actually have forms of B12 that block your B12 and increase the demand! While the word “acid’ doesn’t necessarily conjure thoughts about health and vitality, hydrochloric acid, or HCl, is vital to your body’s absorption of vitamin B12. HCl is produced in the stomach to help you break down your food so it can be absorbed in the small intestine. As you age, your production of HCl naturally declines, but there are other causes for decreased production of HCl. Poor dietary practices, over the counter and prescription medications and autoimmune conditions like Hashimoto’s, Crohn’s and celiac disease can also inhibit HCl production and absorption of B12. If there are other digestive issues at play, like SIBO (small intestinal bacterial overgrowth), leaky gut (or intestinal permeability), or other signs of gut dysbiosis, it’s possible you’re simply not absorbing the nutrients from your food. Gut health is vital to B12 absorption. If you suspect any of these conditions, talk to your doctor about treatment options. You don’t have to have a disease to have poor gut health! It is important to evaluate your digestion as a contributing factor for B12 deficiency. You need stomach acid to liberate B12, intrinsic factor to ready it for absorption and a healthy small intestine to absorb it. Intrinsic factor is a protein that is excreted from the parietal cells in the stomach. Its primary function is to enable your body to absorb B12. Pernicious anemia, atrophic gastritis, or antibodies that are directly attacking your intrinsic factor can all keep you from being able to absorb B12. Aging is a risk factor to developing a B12 deficiency — most likely due to the function of the gut. Some studies show that up to 20% of Americans 65 and older are deficient in B12. Starting B12 supplementation at 50 years old can prevent you from developing a deficiency and all the symptoms and conditions that go along with it. Certain prescription and over the counter medications can inhibit your ability to absorb, utilize or maintain a healthy B12 level. Proton Pump Inhibitors (PPI) and other acid blocking drugs can decrease the amount of B12 available to you in your food. Common cholesterol, gout, and diabetes drugs are known to inhibit absorption. Talk to your doctor about B12 testing if you are taking any of these medications. Atrophic gastritis, pernicious anemia, crohn’s disease, and celiac disease all affect your ability to liberate B12 from your food and absorb it. If you have a family history of autoimmune disease or have an autoimmune disease, you should speak with your doctor about having proper testing to determine if this is the cause of your B12 deficiency. Hypothyroidism is a condition in which you have too little thyroid hormone. Thyroid hormone is necessary for stomach acid production and gut health. A good Naturopathic or Functional Medicine Doctor will be able to tell you whether or not you should start supplementation based on your symptoms and medical history. Blood tests are available, but are not always 100% accurate, so if you or your doctor suspect a deficiency, it’s best to begin supplementation. If you and your doctor do decide to test, vitamin B12 concentrations and serum methylmalonic acid levels can be tested to help determine the severity and root cause of your deficiency. I also recommend testing folate, homocysteine and checking for a common gene mutation, MTHFR. A simple CBC can also tell you the size of your red blood cells. A large red blood cell, which can be revealed by an elevated MCV (mean corpuscular volume) is a sign of poor B12 status or utilization. An elevated MCV may also be due to folate and B6 deficiency. In my practice, I begin supplementation any time the MCV is 92 or higher. If you are supplementing and continue to show signs of deficiency, ask your doctor to test you for a condition known as pernicious anemia. It is an autoimmune disease which makes it impossible to absorb B12 via the gut. Vitamin B12 can be stored in the liver of a healthy person for up to 5 years and is synthesized in the small intestine, so it may take a while for a deficiency to present. Please note: a healthy person. If you suspect that you have absorption issues or you’re not getting adequate amounts of B12 from dietary sources, you might want to consider supplementation. The best way to get optimum levels of B12 is directly from your food. B vitamins work synergistically with each other and other nutrients to give your body exactly what it needs to function optimally, so when in doubt, eat real whole foods. 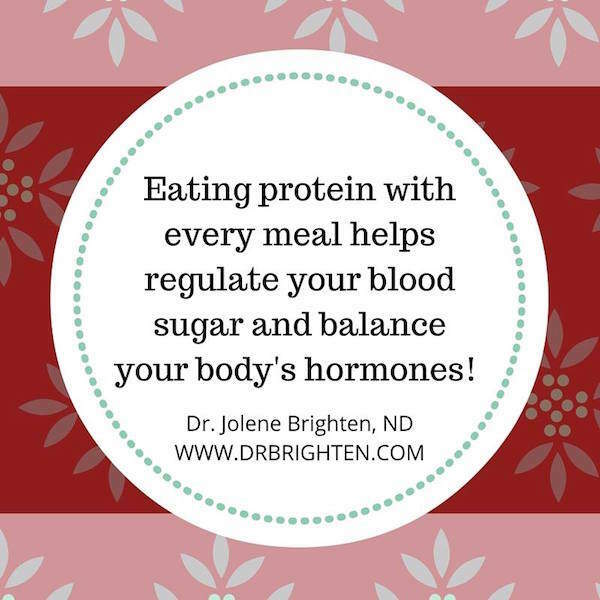 Foods high in B12 and other B vitamins include meat, poultry, organ meat, high quality dairy products (great if you’re not sensitive to these), trout, herring, mackerel, and egg yolk. Please note that it’s not possible to correct true B12 deficiencies with food alone. What about plant sources of B12? Nutritional yeast and seaweed are high in B12, but there’s some evidence that non-animal products may offer a type of B12 that isn’t as active in the body, so I wouldn’t rely on these sources. In addition, the form of B12 from seaweed may actually block B12 utilization by the body! Please note my recommendations are for adults with B12 deficiency. In the case of children, always speak with their doctor before supplementing. When purchasing a B12 supplement, it’s important to look for the active form of the vitamin. Methylcobalamin is the active form of the nutrient and is preferred over cyanocobalamin. In fact, all B vitamins should be taken in their activated methylated forms. Remember, B vitamins work together, so it is often best to take a B complex. When supplementing a single B vitamin alone, it is possible to create additional needs for other B vitamins in the body. This is because replenishing one B vitamin can increase metabolic processes that increase the demands for other B vitamins. I recommend B-Supreme for my patients because it has an array of B vitamins and additional co-factors that help you utilize the B vitamins. Sublingual B12 allows you to absorb the vitamin directly into your bloodstream, bypassing the gut, without an injection. This is generally recommended when there is an issue with gut absorption — SIBO, leaky gut, low stomach acid, atrophic gastritis, etc. Or it may be recommended if you’ve been taking a B complex for an extended period of time without results. Of course, you can always safely opt for the sublingual form of B12 to give your brain and body a boost. One Active Chewable B12 daily can help you increase your energy, boost your mood, and support healthy detox (which makes for some awesome hormonal health). Injecting B12 directly into the bloodstream is an efficient option when treating B12 deficiency or addressing ongoing issues with fatigue, depression or decreased cognitive function. Shots are injected directly into the muscle (usually the glutes or upper arm) and are quick and relatively painless. Treatment plans may vary from one injection per month to several over a span of weeks, depending on the condition. Generally, 1,000 mcg of B12 is injected per session. You don’t have to have a chronic B12 deficiency to warrant a B12 shot; sometimes they’re prescribed as energy boosters for athletes or those who suffer from adrenal fatigue. 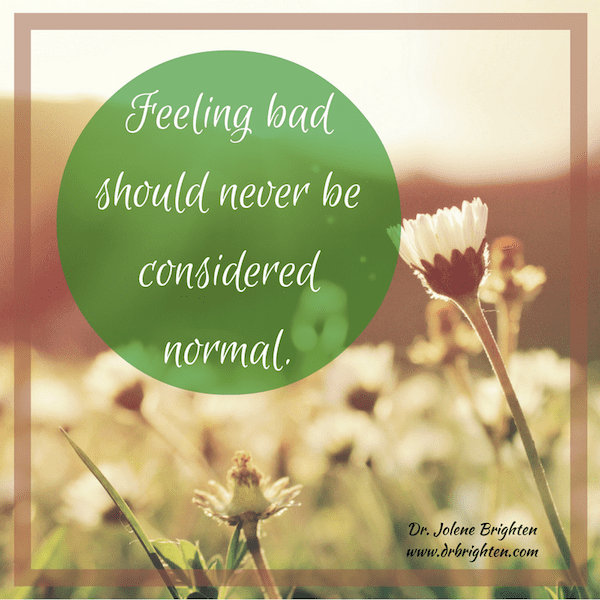 Dr. Jolene Brighten is a licensed Functional Medicine Naturopathic Doctor, best selling author, speaker, and mother. 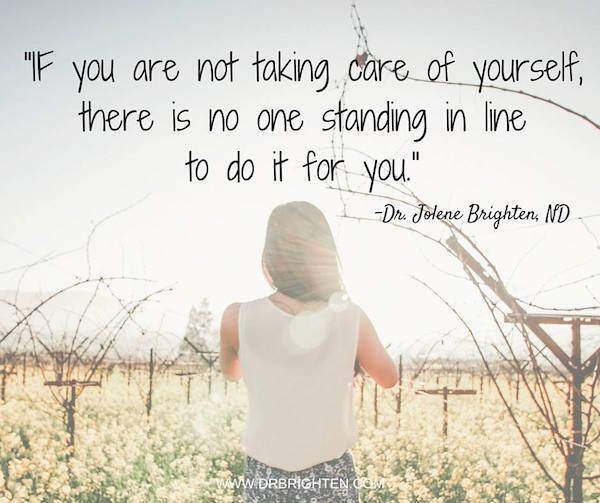 Dr. Brighten specializes in women’s health, from fertility to postpartum care, adrenal and thyroid support, autoimmune conditions, and digestive disorders. In her patient-centered practice, Rubus Health in Portland, Oregon. Dr. Brighten thrives on navigating the space between conventional and alternative medicine, all while working with patients to help them achieve optimum balance, health, and happiness. READ NEXT: Are you having a hard time recovering your Vitamin D levels? Lindsay H. Allen. How common is vitamin B-12 deficiency? The American Journal of Clinical Nutrition. 2009 Feb;89(2):693S-696S. Imbard, A., Benoist, J.F., Blom, H.J. Neural tube defects, folic acid and methylation. Int J Environ Res Public Health. 2013 Sep 17;10(9):4352-89. Donaldson, M.S. Metabolic vitamin B12 status on a mostly raw vegan diet with follow-up using tablets, nutritional yeast, or probiotic supplements. Ann Nutr Metab. 2000;44(5-6):229-34. Bissoli, L. et al. Effect of vegetarian diet on homocysteine levels. Ann Nutr Metab. 2002;46(2):73-9. Antony, A.C. Vegetarianism and vitamin B-12 (cobalamin) deficiency. Am J Clin Nutr. 2003 Jul;78(1):3-6. Watanabe, F. et al. Pseudovitamin B(12) is the predominant cob amide of an algal health food, spirulina tablets. J Agric Food Chem. 1999 Nov;47(11):4736-41. Baik, H.W., Russell, R.M. Vitamin B12 deficiency in the elderly. Annu Rev Nutr. 1999;19:357-77. Watanabe, F. Vitamin B12 sources and bioavailability. Exp Biol Med (Maywood). 2007 Nov;232(10):1266-74.